Geiger Post is a boutique post production facility in the heart of Hollywood that is designed to give superior service to producers. Offering a personalized, hands-on approach, supported by highly skilled editorial talent and the highest level of technical capabilities, Geiger Post is the premier provider of post production services in Los Angeles. Geiger Post offers its clients 4K and HD color correction/online editing, offline editing, edit equipment rental, office space rental and duplication services. Providing producers the talent, tools and personalized service to achieve their creative potential. 4K and HD color correction and online editing. 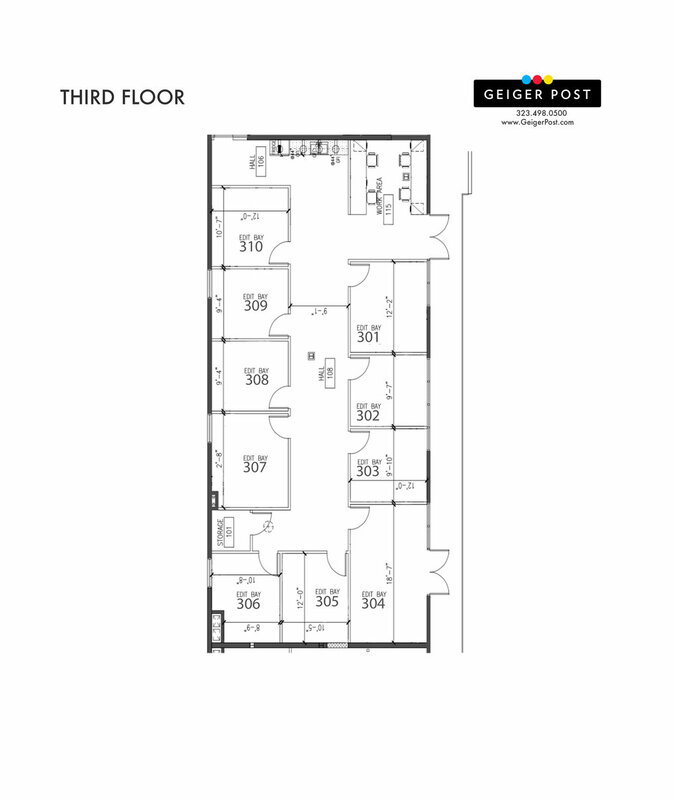 The floor plans below indicate the space on our three floors that are available to rent for your project. *The shaded rooms are not available for rent. Because of the numbering on the buildings, the entrance to the valet lot is a little confusing the first time you arrive. The driveway is on the WEST side of the tall Metropolitan Lofts building.